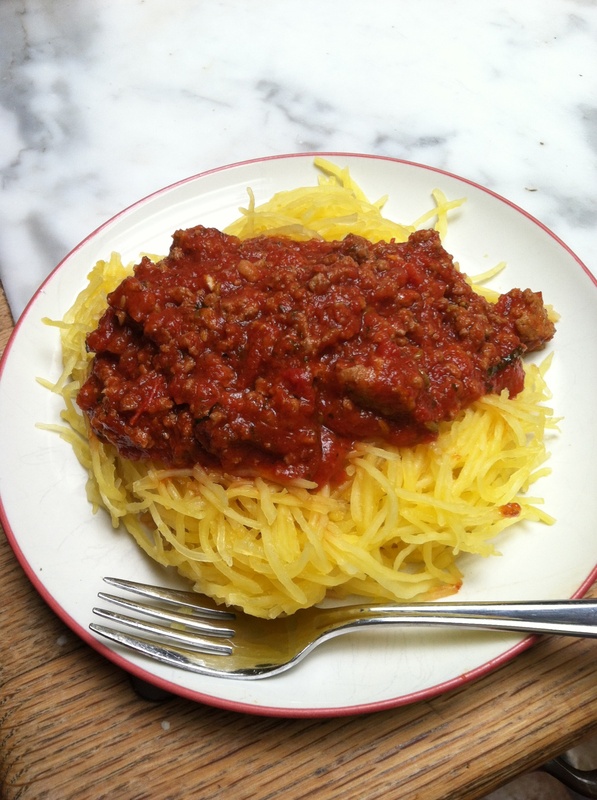 My wife is Italian so we eat a lot of spaghetti at the Parker Compound. 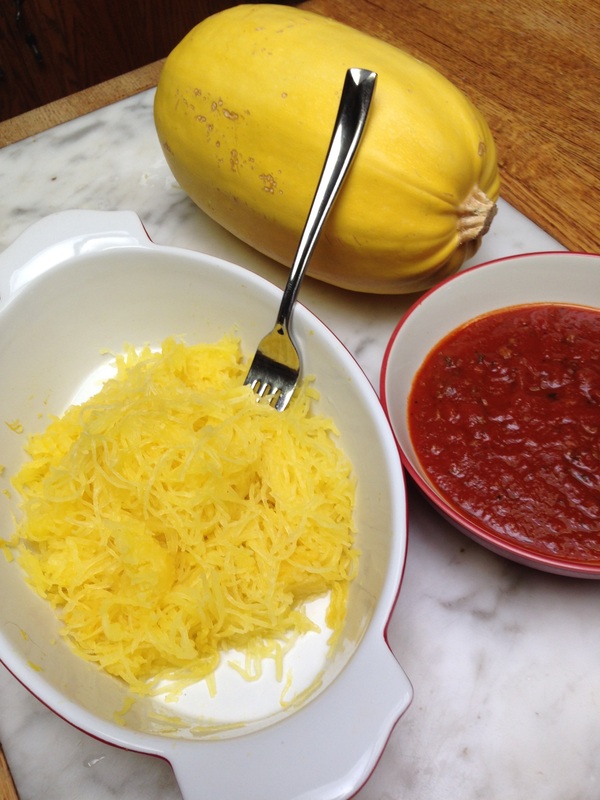 When spaghetti squash is in season, we use it instead of wheat-based pasta with this sauce, to make it less fattening. 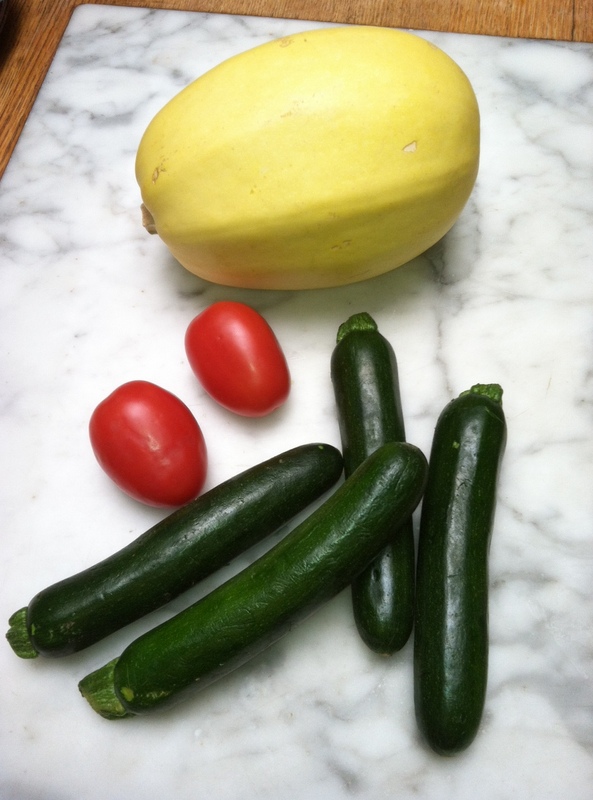 The substitution also makes the combo compliant with paleo and diabetic diets. A definitely non-paleo ingredient below is Truvia, a sweetener that’s a combination of stevia and erythritol. Stevia is supposedly “natural.” I don’t know where erythritol, a sugar alcohol, comes from. 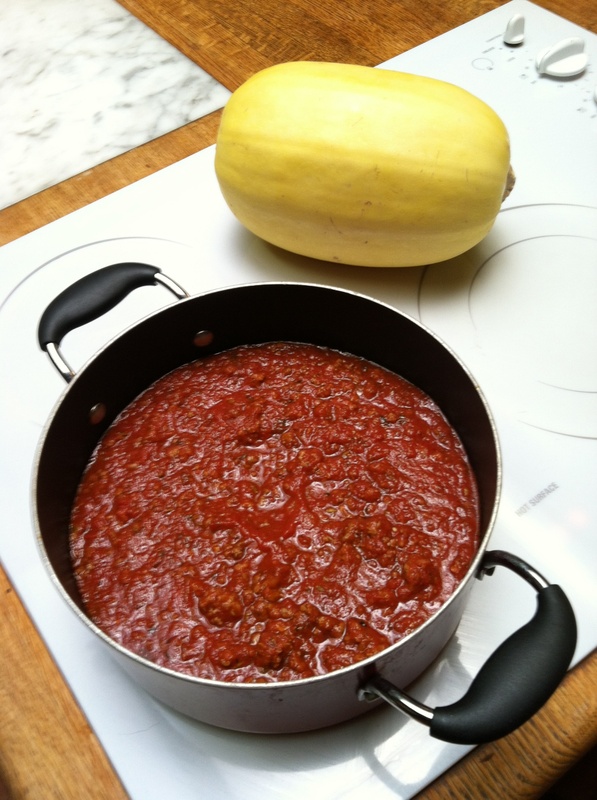 The purpose of a sweetener is to counteract the tartness or bitterness of the tomatoes. 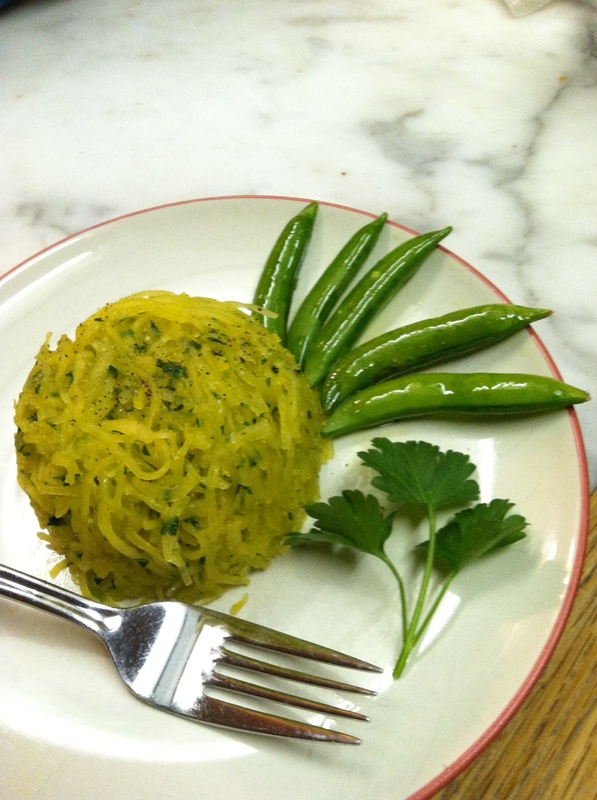 Honey would probably serve this purpose—for those of you on a pure paleo kick—but I’ve never tried it in this recipe. If you use the honey or the table sugar option below, it will increase the digestible carb count in each cup by three grams. Whatever your favorite non-caloric sweetener, use the equivalent of two tablespoons of table sugar (sucrose). 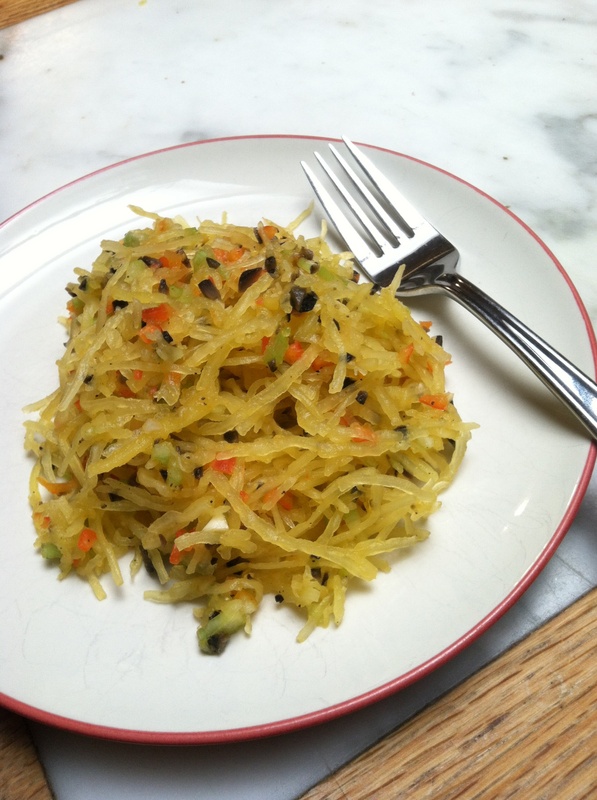 If you’re predisposed to carbohydrate toxicity—high blood sugar—eat this over spaghetti squash rather than pasta. 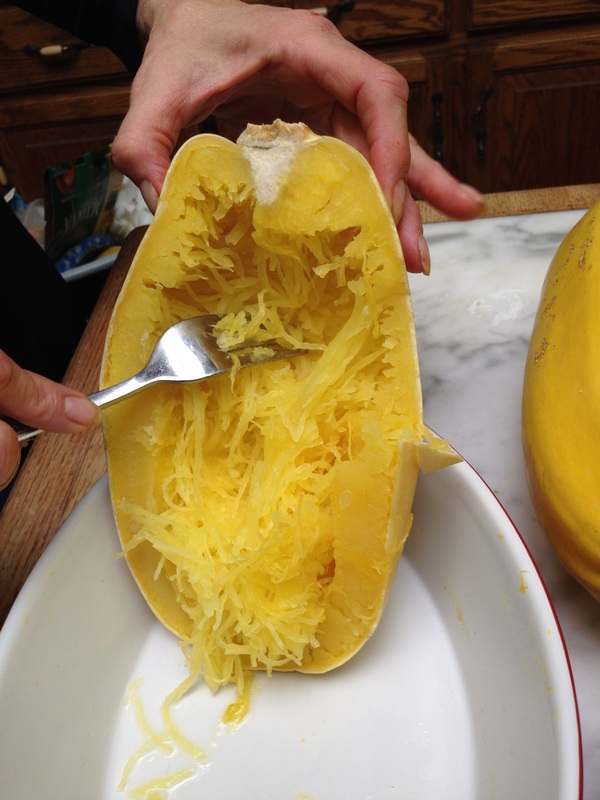 Here’s a post on cooking spaghetti squash. 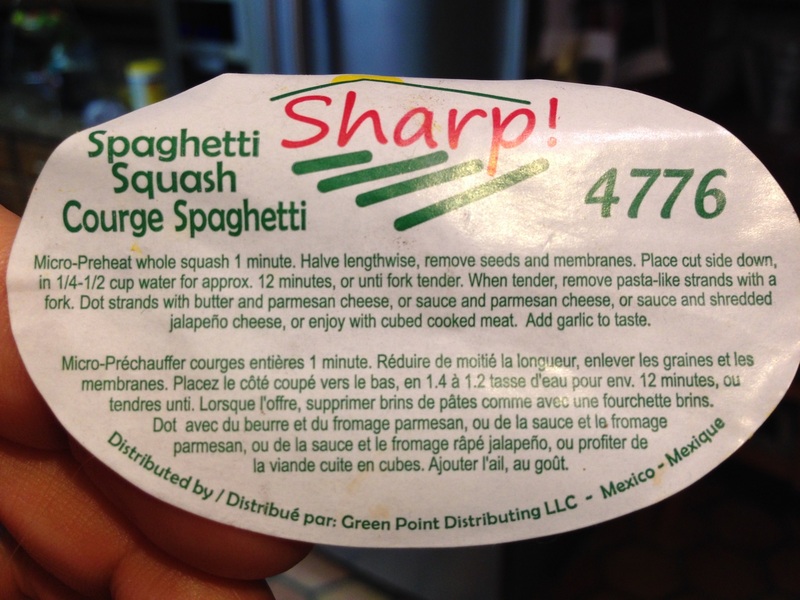 Small or inactive folks may find a half cup of sauce over one cup of cooked squash is a reasonable serving (about 250 calories). I prefer to double those portions, making it a whole meal. Sometimes I just eat this sauce straight. But I’m weird. A cup of sauce with some veggies or fruit is a meal for me. 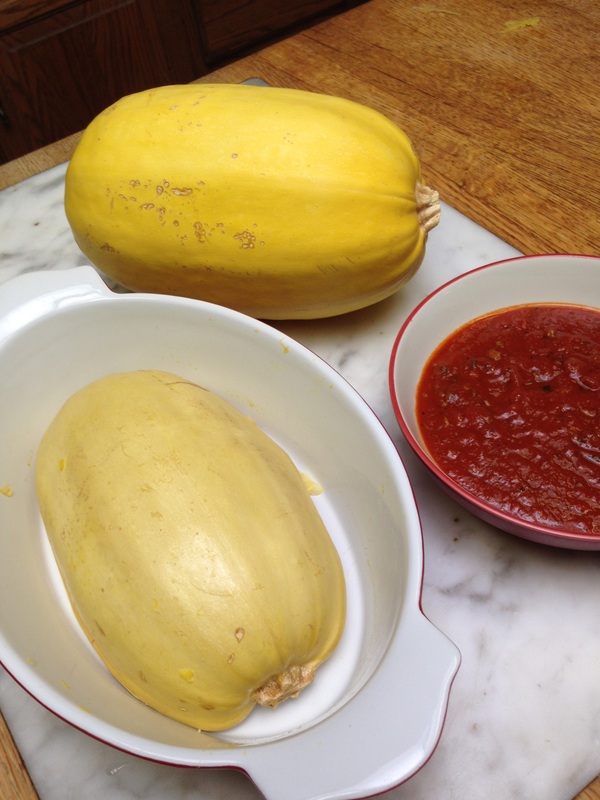 If you have other uses for spaghetti sauce other than over spaghetti squash or grain products, please share in the Comments. 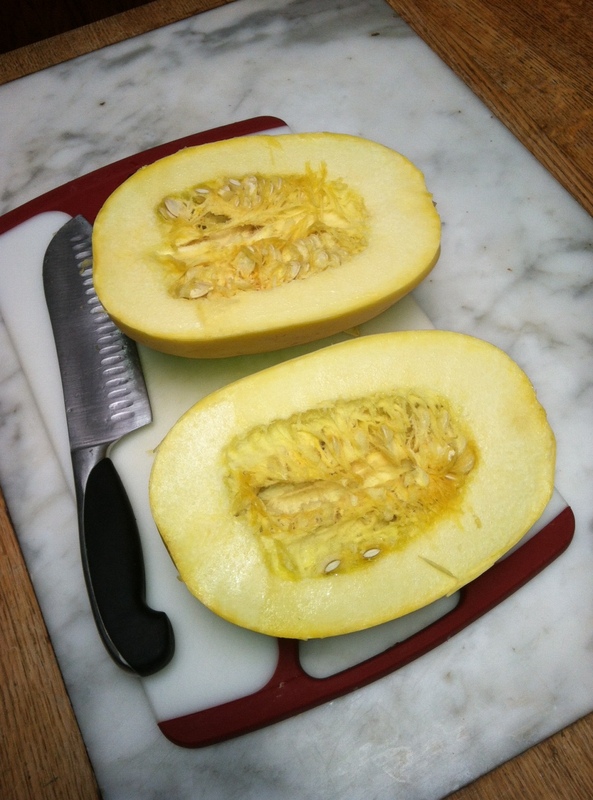 One of my readers puts it on zucchini (presumably cooked).